Don’t judge others, Jesus didn’t judge others. It’s an easy statement to make – ubiquitous on social media. Folk use it to defend politicians, athletes, celebrities, or anyone else’s behavior that the New Testament clearly defines as sin. The advantage being leveraged is the ignorance of Christians who don’t know what the Bible says about judging (and the different uses of the word) combined with the corrosive power of a shame culture that loves to embarrass, cajole, and marginalize people who don’t toe the latest societal line. That’s why its common when professed Christians essentially make statements like “God loves everyone as everyone, so everyone can do what everyone wants to do” to be met either with virtual silence from Christians who know better or supported with cheers by others who don’t. To actually look at the context of Jesus’ warning in Matt. 7:1-2 to “judge not, that you be not judged,” is to realize that Christ isn’t prohibiting the identification of something as sinful but the hypocrisy of legalistic religion that thrills in doing so before first sincerely examining potentially greater sin struggles in one’s own life (e.g., the speck/log contrast). This seems to be the definition of judging Jesus is using in this oft-quoted, oft-misapplied passage. The point Christ makes is that singling out the lesser sin struggles of others while hypocritically holding onto greater transgressions is the kind of religious hypocrisy that is the opposite of the kingdom of God. Ahem, please note that Jesus even “judges” his listeners in this very passage by calling them hypocrites (v. 5)! Therefore, we have an admonition for Christians to keep growing in the gospel so they would be quicker to examine their own hearts for sin struggles and slower to criticize other believers for theirs. However, slower isn’t the same as not at all. The idea it’s automatically unloving or un-Christian to properly call someone’s sinful behavior as sin is far afield from what Jesus said or did. Furthermore, it’s far afield from what his apostles did and said in the rest of the New Testament. If this were written in 2019 some might be shouting Paul down on Facebook as unloving or give him a Twitter “clap back” shaming him for “judging” others (ironically, both judgments in themselves) because God accepts everyone as they are, or that love is love, or some other bumper sticker platitude that gets you likes and attaboys on the social network echo chamber. It’s illuminating that the apostle’s expectation for the world and the church are completely different. He knows unbelievers aren’t compelled to follow kingdom ethics (e.g., sexuality, stewardship) nor should Christians expect them to follow Jesus as King or see God’s Word as authoritative and binding on their lives. Thus, the community of faith has no accountability with “outsiders” in those matters. However, the tune changes when it comes to those within the community of faith.2 While the gospel should shape our addressing any sin with grace, humility, and a keen awareness of our own shortcomings, make no mistake, it also creates a community where sin can be not only identified but also, if need be, confronted. That’s why the expected answer of the question, “Is it not those inside the church whom you are to judge?” is “Yes” provided the kind of judging is the kind Paul has outlined and not weighing into someone’s eternity as if we were God the Judge. Neither Jesus nor the rest of the New Testament knows anything of the idea that calling something sinful the Scripture considers the same is somehow the sin of “judging others.”3 It’s merely just agreeing with what God’s Word says. Just make sure if you are agreeing with what God’s Word says about any kind of sin, you also do it with the understanding that the only reason you are a follower of Jesus is because God in his grace redeemed you from the same sinful situation as everyone else. And that were it not for the Cross and the wondrous love of God in Christ, we would all be far from him. This should also help us see that followers of Jesus fall into a spiritually dangerous situation when they erroneously play the “don’t judge others” card in refusing to acknowledge sinful behavior in other professed Christians. This sets them up at some kind of quasi-authority who knows better than the New Testament ethic (and likely Christian orthodoxy throughout the last two millennia) and leads some scrambling to Google any and all other articles or videos of professing believers that would agree with them. But this kind of strategy only parallels, in a sobering way I might add, Paul’s words to the Romans, “Though they know God’s righteous decree that those who practice such things deserve to die, they not only do them but give approval to those who practice them” (1:32). 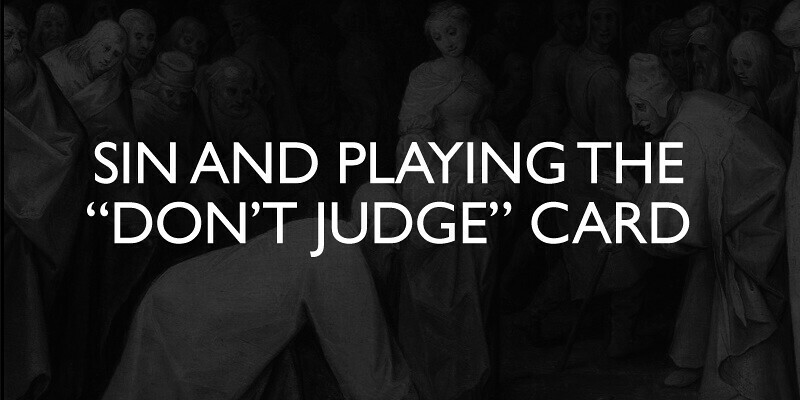 Talk about judgment! It’s more likely that people who play the “Don’t judge” card do so because they’ve confused acceptance with endorsement. They want to rightfully love/support their person in question and think that in order to do so they must wrongfully endorse everything that person does without hesitation. But acceptance is different from endorsement. Contrary to the cultural forces that say differently, you can accept someone for who they are without endorsing everything they do. Unfortunately employing the “Don’t judge” trump card retards our real growth in the gospel because it keeps us from being honest about sin and sinners. It’s grace over truth, not grace with truth. As much as arrogantly, pridefully condemning others reveals a lack of knowledge about the truth of the gospel so does endorsing sinful behavior in other believers while telling everyone else how wrong they are for calling sin a sin. May Jesus tutor us all as his followers into what loving other believers (and unbelievers) looks like for our good, their good, and his glory! Best Christian Life Book – You Are What You Love by James K.A. Smith. Smith’s love and promotion of orthodoxy through the church and her traditions is worth a hearing. For years I have resonated with much of what he believes is the antidote to the consumeristic, biblically-anemic spirit seeping throughout the Western church. Made me love good liturgy all the more. Best Biblical Studies/Theology Book – Adam and the Genome by Dennis Venema and Scot McKnight. In the first section, Venema, a professor of biology who specializes in genetics, does an honorable job of putting the cookies on the bottom shelf for the lay reader who know little of science in general and genetics in specific. He avails us of the latest research as it concerns human origins and the challenges that present themselves to those who hold to Christianity (Venema is a follower of Jesus). The weakest part is when McKnight, a New Testament scholar, offers his alternative views in light of modern scientific findings. Overall, if anything, this book should provoke the church, and her intellectuals and theologians within it, to better engage the discussion of human origins and the biblical account. 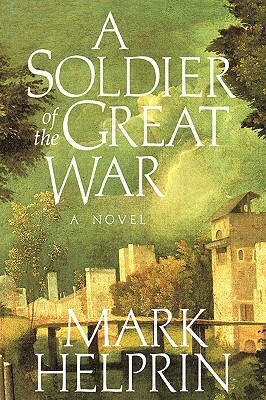 Best Fiction – A Soldier of the Great War by Mark Helprin. I had heard of this book years ago when a Wheaton professor of English said it was his favorite book of all time. I didn’t think anything of it until one of my friends, who I hold in high esteem when it comes to literary recommendations,1 told me I must read Helprin’s novel. I did and would put it in one of the best modern novels I have ever read. It is such a beautiful read that it literally left me in tears at parts. 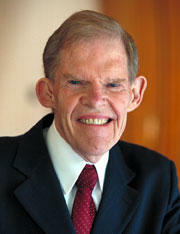 I read that Helprin’s work was blackballed from Pulitzer consideration because of his conservative political views. Whether that is true or not, I don’t know. I would say this is easily Pulitzer material to me. 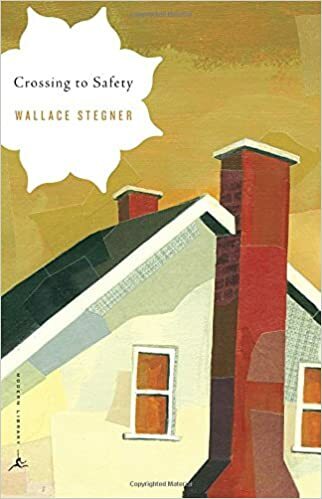 Best Fiction (Honorable Mention) – Crossing to Safety by Wallace Stegner. The same friend who told me to read Helprin also told me to read Stegner’s work. The result? He was two for two on recommendations. Crossing to Safety is a moving novel about friendship that stays with you long after finishing the book. There’s a part of me that wished I read it with my close friends as a book club just so we could talk about what makes a real friendship. An absolutely fantastic read that I won’t forget. 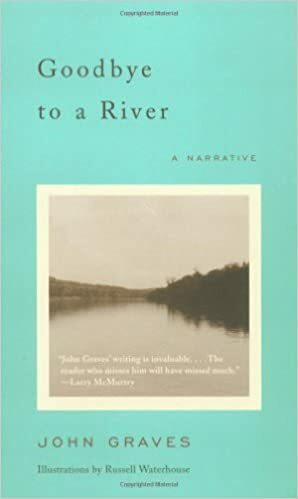 Best Non-Fiction – Goodbye to a River by John Graves. This “semi-historical” book (technically filed under fiction), is about the author’s last canoe trip down the Brazos River in 1957 before flood-control dams are installed, thus changing the river forever. It is part memoir, part history. It is considered a Texas literary classic. In reading it I felt not only carried along Graves’ slow, meandering journey down a river I knew while a student in Waco but also felt pulled back in time when Indians roamed Central Texas. Melancholic, enchanting, and just what I needed. Best Just for Fun Book – Dark Matter by Blake Crouch. Flat out fun! Just when you think things can’t get any crazier, they do. Read this is a day or two and loved it for the mindless, fast-paced fun it is. Best Album – From the Room, Vols. 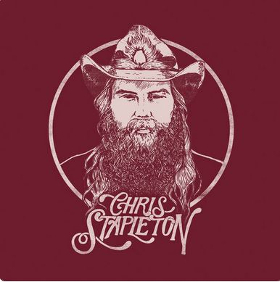 1 & 2, Chris Stapleton. Maybe one of the best country albums I’ve heard in a decade. Stapleton walks with confidence into the “outlaw country” road that Nelson, Haggard, and other blazed before him. Every song is good. Every. Song. With that said, ‘Drunkard’s Prayer’ is as good as it gets with honesty, artistry, and musicality. Best Movie – Wind River. I’m a fan of writer Taylor Sheridan. The native Texan has previously written both Sicario and Hell or High Water. Both flicks been some of my favorite in recent years. With themes and images that are disturbing, Sheridan makes an movie that is more about humanity, loss, and grief than simply “a thriller.” To be fair, I haven’t seen many other movies this year. I have yet to see Dunkirk, the movie by my favorite director, Christopher Nolan. So, this entry might have changed. For now, Wind River takes the spot. Best Moment of 2017 – My brother’s swearing-in as a U.S. Congressman in January. Pretty special to have your family member in the halls of Congress. Plus, my kids had a blast in D.C. seeing the sights as their uncle became a congressman. 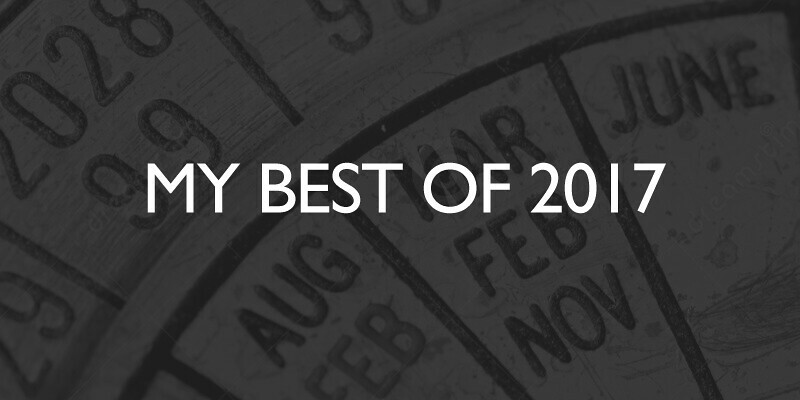 Best Moment of 2017 (Honorable Mentions) – 1) Finishing my book which will be released the first week of January 2018. 2) The Astros winning the World Series!